This adapter allows an EasyTemp or EasyLink to be connected to a computer for data collection using Logger Pro or Logger Lite software. 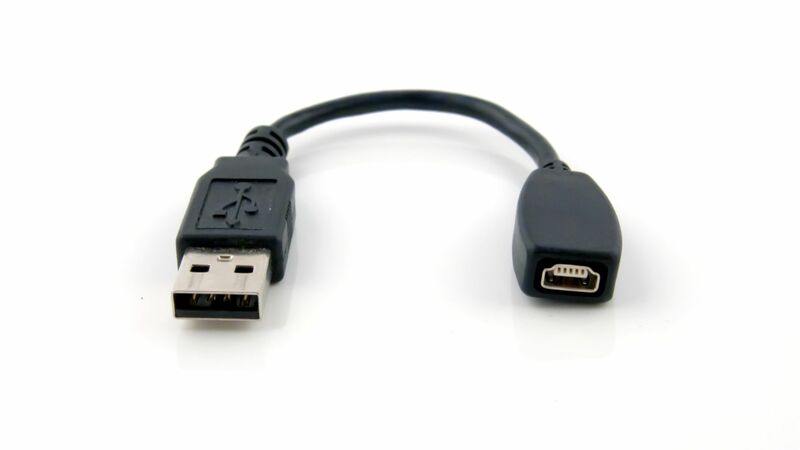 The adapter has a USB Mini-A receptacle that connects to the EasyTemp or EasyLink and a standard-A plug that connects to the computer. It can also be used with the USB cable that comes with the CBR 2. Note: Most consumer electronic devices use a USB Mini Type B plug, and will NOT WORK with this adapter. Our adapter only works for devices with USB Mini Type A plug.